The Go John Trail made Sweat Magazine's best hike list in last year's reader's poll. That proclamation made me want to check it out. If you're reading this, you are interested also. Coming from the East Valley, this was quite a haul for a short hike. 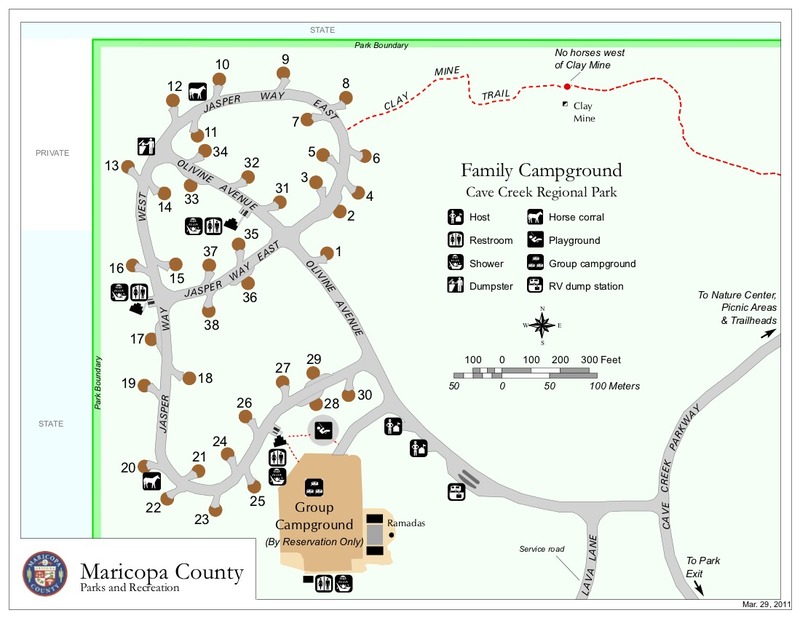 The Cave Creek Recreation Area is located off the Carefree Highway north of Phoenix. As you reached the trailhead parking lot, you can't help but notice the wide trail headed virtually straight up to a pass. This is the trail. Starting from the Trailhead sign at an elevation of 2,120 feet, head north. More appropriately, head up. The trail is an old jeep road that is quite eroded. It doesn't really switchback. It just heads up for about 3/4 of a mile until you come upon the pass. At an elevation of 2,470 feet the views into Tonto National Forest are beautiful. Catch your breath. Carefully check out the abandoned mine shaft to your left. Continuing north, you descend at almost the same degree as you ascended. The trail is a steep downhill for about a quarter mile. About this time you will encounter a junction with the Overton Trail. It is signed. From this point until the mile and a half mark you will cross and follow a series of washes. The trail is easy to follow. At just under a mile and a half the trail leaves the old jeep road and ascends to the right. 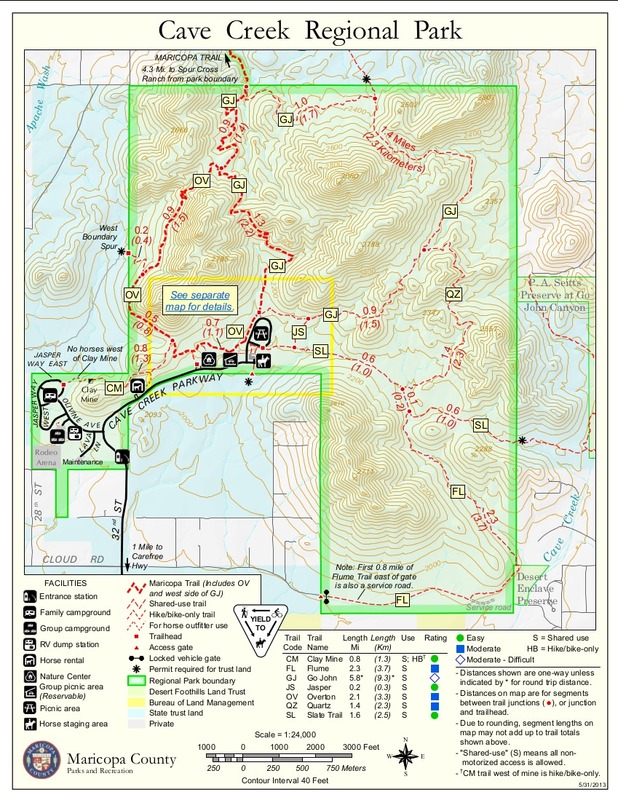 (If you continue to follow the jeep road, you run into the park boundary and state land. Last time I checked, you needed a permit to continue.) Follow the trail for the next mile or so. You will come across another trail junction on the left; it too heads toward state land. Stay right. After about 100 yards, the trail becomes very eroded as it climbs toward a false pass. 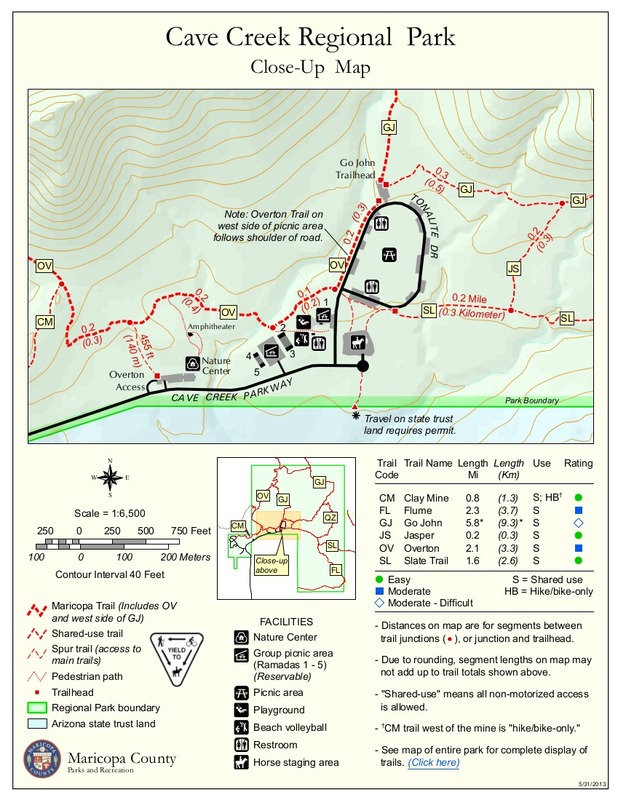 As you continue along the trail, watch to your right for a short spur trail. I did not pay attention to the exact location, but there is an abandoned mine at the end of this trail. Taking a breather to peer into the mine, we encountered an enormous owl. He was just hanging out in the mine. It was cool. 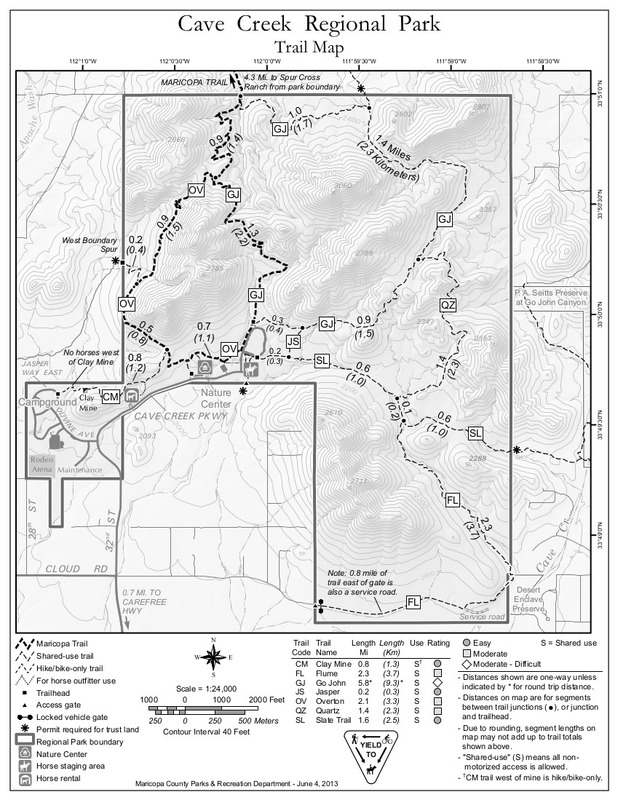 At about the 3-mile mark, you will have reached Gunsight Pass and an elevation of 2,530 feet. The views are excellent. The old trail continues ahead and the new trail heads to the right. Follow the new trail up the valley. After about 3/10ths of a mile the old and new trails rejoin. You will be heading southwest. Just before the 4-mile mark, you'll skirt alongside a quartz field and then come to another excellent viewpoint. For the next section of trail, you'll be hiking along the side of the hill. When I did this hike, it must have been horse day, for we encountered more than a few riders heading in both directions. The remaining half-mile is hilly, with several short rises. You will be able to see the picnic area. Just past the four and a half mile mark, the heads right although the jeep road heads left and south. At 4.88 miles you return to the trailhead parking lot. My hike took 2 hours. This trail is multi-use. There were mountain bikers as well as riders on the trail. Take caution and be aware of your surroundings. Also be wary of the mineshafts. This area was mined extensively. There are shafts everywhere. Although I enjoyed the hike, I'm not sure why it was voted to the best trail list. Take 17 North to the Carefree Highway (Exit 223). Head east on 74/Carefree Highway. Turn left (North) onto 32nd Street. About a mile and a half up the road you enter the Cave Creek Park area.